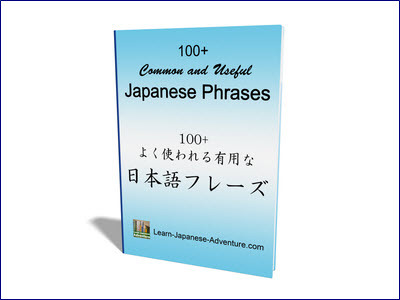 In this lesson, you will get to learn how to make use of a Japanese noun modifier to describe a noun with more information. You have already learned how to describe a noun using an adjective or another noun. Meaning: This is a cake. Meaning: This is a strawberry cake. Meaning: This is an expensive cake. Meaning: This is a famous cake. In the above examples, the underlined noun いちご, the i-adjective たかい and the na-adjective ゆうめい are describing the noun ケーキ. However they only described the noun briefly. 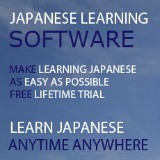 You need to make more complicated sentence if you want to describe the Japanese noun in more details. In order to put more information in describing a Japanese noun, you can actually change a sub-sentence (which give more details about the noun) into its Plain form and insert the modified sub-sentence before the noun. Meaning: This is the cake I give to my friend. The Japanese noun modifier always comes in front of the noun you are describing. In the above case, it should be in front of ケーキ (ke-ki). Change the sub-sentence to Plain form. That means you will need to change あげます (agemasu) to あげる (ageru). Omit the noun in the sub-sentence since it's already in the main sentence. Therefore ケーキ (ke-ki) in the sub-sentence is omitted. 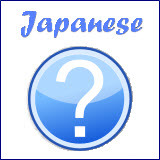 Topic marker は (wa) is already existed in the main sentence. Hence the sub-sentence's topic marker cannot used は (wa) again and has to change to が (ga). Let's use more examples to see how the Japanese noun modification works. Meaning: This is the hat my mother made. Meaning: This is the hat I bought in Japan. The わたしが (watashi ga) in the above example can be omitted because it's obvious that you are talking about your own action. Meaning: This is the hat my friend gave me. Meaning: My younger brother is studying at the library where my younger sister goes often today. Meaning: I went to the department store where my friend is working at yesterday. Meaning: My father is looking at the photos that I took at the mountain last week. Meaning: I posted the letter my mother wrote last night in this morning. Meaning: I entered the university which my elder brother graduated. Lesson 2: Nouns - Make simple sentences using Nouns.